PDF or Kindle? Which Format Rules today’s Digital Era? With computers, laptops, smartphones, tablets and all sorts of gadgets overtaking almost every industry, our lifestyles are quickly changing. These modern day machines allow us to create, distribute and store all sorts of data effortlessly, hence, making our lives easier than ever. And, with climate change and deforestation on the rise, being able to replace physical records and other sorts of physical data with a digital copy seems to be a blessing. 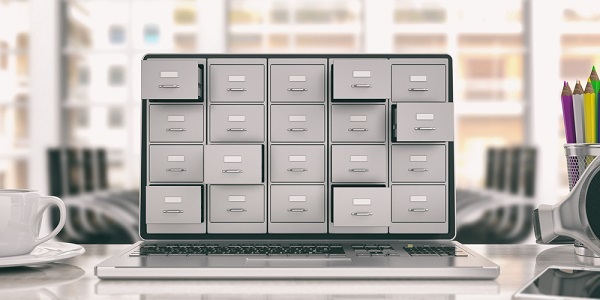 When we talk about storing data in a digital form, there are literally thousands of file storage formats that enable us to do so. In fact, as the world embraces digital file storage formats, we are also witnessing the rise of numerous different online format converters, such as; the JPG to PDF converter online. Paper or digital data storage? The truth is digital data storage is the future. Over the past few years, a decrease has been recorded in the sales of physical copies of newspapers, books, magazines etc. and at the same time, there has been an increase in their online sales. For consumers, digital formats provide ease and for businesses, they are cheaper than print media. Throw in the fact that digital formats also provide more security, accessibility and help us stop deforestation and it’s not hard to see why digital formats are winning the data storage war. As we mentioned, when it comes to digital data storage, there are thousands of formats available. 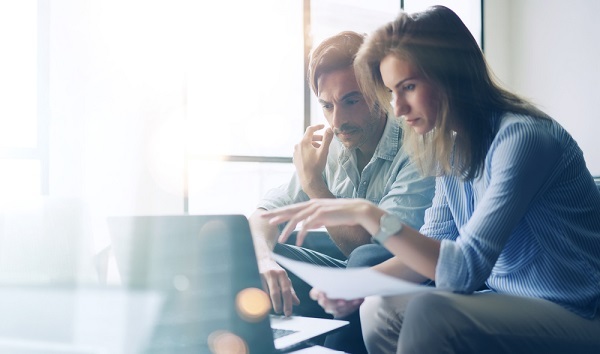 Zoom in on just one form of digital data; text files and, even then you’ll find there are hundreds of different formats available for people to use. But, if there is one format that is currently ruling the digital text file storage realm, it’s PDF. Go another level deeper, zoom in on the ebook “sub-genre” and you’ll find that Kindle is ruling the ebook realm. There are many similarities between PDF and Kindle and at the same time, both are capable of doing things the other one cannot. This had led to a big “PDF or Kindle?” debate in the past few years and it only seems to be getting bigger. With this post, we will try out best to put an end to this argument by trying to answer the “PDF or Kindle?” question. But, before we can do that, we have to give you some background on both of these formats, talk about their similarities and differences, pros and cons and then, try to answer the equation. Portable Document Format, more commonly known as PDF, was unveiled to the world in 1992. It was the first major product that Adobe had introduced into the market and it was PDF’s success that made Adobe famous and successful. 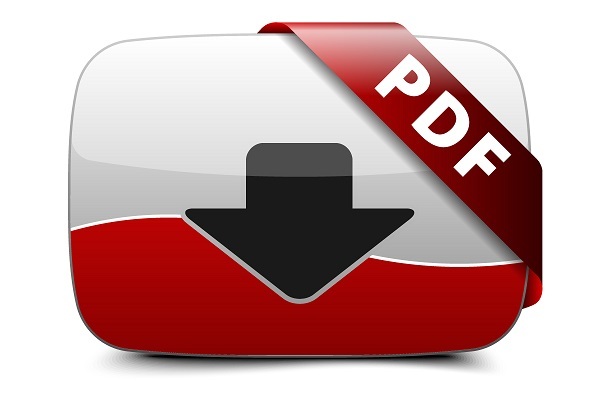 PDF was introduced as a solution to a big problem being faced by the tech world of that era. You see, by early 90’s, word processors were the main way of digitally storing data and innovations like USB ports and Local Area Networks had made it possible for computers to transfer files. The issue was that when a file was sent from one computer to another, or to even an output device such as a printer, the file would lose all of its formattings. The end result was just a jumbled mess. This issue occurred because word processors depended on the software, operating system and the hardware that they were being used on. And so, when a file was moved from one computer to another, it lost important pieces. Tech giants were pouring in lots of resources to try and develop a solution to this problem but it was Adobe’s PDF that did it first. As the name suggests, PDF was built in a way that it worked completely independently of the software, as well as the hardware it was being operated on. This made it possible for PDF to work perfectly across all sorts of operating systems and in the process, made successful file transfers a possibility. As the format solved a huge problem, lots of big companies, organizations, and even government institutions embraced PDF with open arms. Believe it or not, one of the first organizations to embrace PDF was the United States Internal Revenue Service! Before PDF, IRS used to mail out hundreds of millions of tax forms to US citizens every year! Needless to say, the whole process was very inefficient and wasteful. But, thanks to PDF, IRS was able to introduce online tax filing and IRS’ successful transition from offline to online further helped spread the good word about PDF. Of course, as it commonly happens in the tech world, word processors soon caught up with PDF in terms of functionality and file transfers. But, Adobe had seen this coming and worked hard to keep on improving their PDF Reader and Editor software. It was Adobe’s continued work on PDF that helped make it one of the biggest file storage formats by the end of the twentieth century. It is estimated that by the end of 90’s, Adobe’s PDF Reader was being used on more than a hundred million computers around the world. Adobe’s devotion kept PDF at top back then and it is still why PDF is ruling file storage formats today. Amazon was started by Jeff Bezos as an online store where people could find, purchase and download a digital copy of all their favorite books. With books being Amazon’s main focus, in 2004, when small companies in China were churning out low-quality digital readers, Bezos ordered his engineers to start working on creating the world’s best e-Reader. There were also some rumors spreading that both Microsoft and Apple were working on big touchscreen devices and Bezos didn’t want his competition to take the lead. Hence, he ordered his engineers to put the medal to the pedal and complete the project before any of his competitors could. Internally, Bezos’ e-Reader was known as Fiona, but when it came to unveiling the device, the device was introduced as a Kindle. 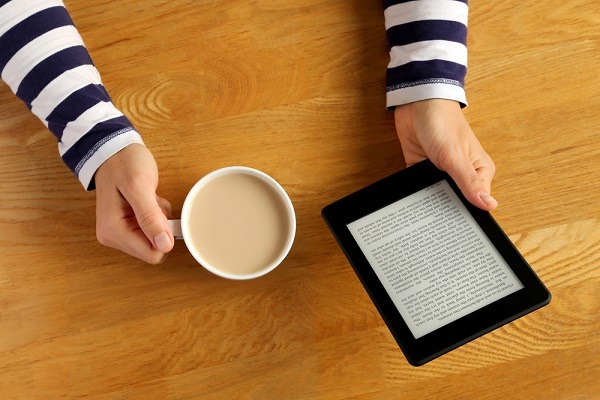 Amazon Kindle devices enabled users to browse, buy and read eBooks via the Kindle Store. The first Kindle turned out to be a huge success and that allowed Amazon to experiment and introduce quite a few versions of the Kindle reader. There has been a large screen version, an e-ink electronic display version, a high-resolution version, a low-priced version and even a keyboard version. Amazon believes adding anything other than book-related content to Kindle series would only create a distraction and that’s why the Kindle readers can only access the Kindle Store. eBooks downloaded from the Kindle store have a .mobi extension but are actually formatted to a file standard known as AZW. These files are protected by Digital Rights Management, which means that they have a lock and can only be accessed via a Kindle device or the Kindle account the ebook was purchased from. 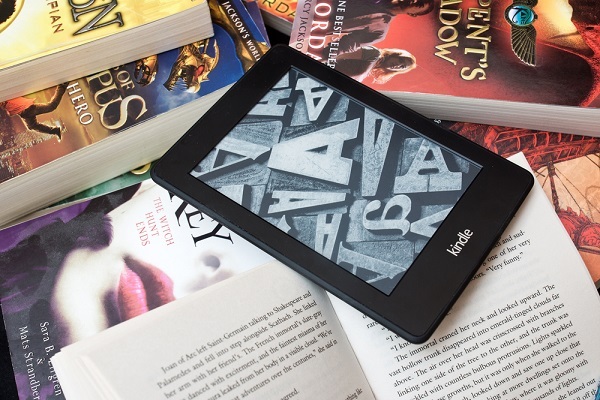 All Kindle eReaders get their content from the Kindle Store which is estimated to have more than 6 million eBooks as of March 2018. To expand its reach, Amazon has also introduced a Kindle app for iOS, Android, and other big OS so that people can purchase and read ebooks without having the purchase a Kindle reader. And, although you can only read .mobi files from a Kindle account, Kindle readers can read quite a few file formats. Kindle readers are capable of reading JPG, PDF, RTF, Word (.doc, .docx), GIF, PNG and BMP files natively. Meaning, they can be read without having to be converted to some other suitable format. So, while you’ll need a Kindle account or a Kindle device to access to .mobi file, your Kindle device and app can easily read all PDF text bearbeiten files and run them quite smoothly. In order to read a PDF ebook on your Kindle app or reader, send the PDF ebook to the email address you linked with your eReader or app when you first used it. Once the email is received, the PDF will show up in your book library and you can read it just like all the other ebooks. Now that we know a little about PDF and Kindle and how they came to be, it is time to consider another aspect of the “Kindle vs. PDF” argument; the similarities. Although there are about 15 years of time difference between the two file formats, one cannot help but note the things both these formats have in common. First and foremost, both formats are capable of creating and handling ebooks quite efficiently. Both file formats also allow the user to “grab” the corner of a page and turn it as they would with a real book. In PDF, you will have to access the 3D mode in any of the numerous PDF readers available to access this feature. Third, both the file formats allow users to annotate text. Users have the option to highlight text, underline a specific portion and, users can even add comments to a specific portion of text. Another great feature that these formats share is the bookmark feature. With the bookmark feature, users can save all the important parts in a book and also save the spot where they stopped reading. Lastly, users of PDF and Kindle can also run a quick keyword search to find a specific word or specific portions of the text. Firstly, as PDF was built to work completely independently, PDF files can work across all sorts of operating systems and devices. On the other hand, Kindle files will only work if the device has the Kindle application on it. Secondly, PDF files can be converted into numerous different formats including, JPG, BMP, DOC, HTML, and GIF. And, thanks to numerous online file format converters, many different files can also be converted to PDF. The .mobi format, on the other hand, is exclusive to Kindle devices and apps. .mobi file cannot be converted to some other format and other files cannot be converted to .mobi format. PDF is one of the most customizable file formats and that allows its users to edit and customize PDF file as much as they want. Kindle files are read-only and cannot be edited by the reader. The text, pictures and other multimedia content in PDF files have a fixed size and when viewing on small screens (i.e. smartphones), the user has to zoom in. .mobi files reshape the file content according to the screen size which allows a more comfortable read. The way to secure a PDF file is to encrypt it so that it can only be accessed with a password. You can also set different levels of access restrictions for different users on PDF files. Kindle files are protected by Digital Rights Management which shields the files from any sort of plagiarism. With all the facts in front of us, do we have a clear winner? The answer is, yes. And, no. Honestly speaking, both formats are better than each other for different tasks. If the question was; “Which format is best for ebooks?”, we’d go with Kindle. That’s because Kindle files can reshape and adjust according to the screen size. On the other hand, if the question was, “Which file format has a bigger reach, is more accessible and allows the user more customizability?”, we’d definitely say PDF. And that is because PDF is the most commonly used format in the world, it works across all OS and offers much more editing features. So, as you can see, both of the formats work better than the other in different situations. And. picking a clear winner between these two will always depend on what kind of task they are being used for.